Oh creamy, dreamy buttercream icing! It’s so … versatile!! Yep it is. 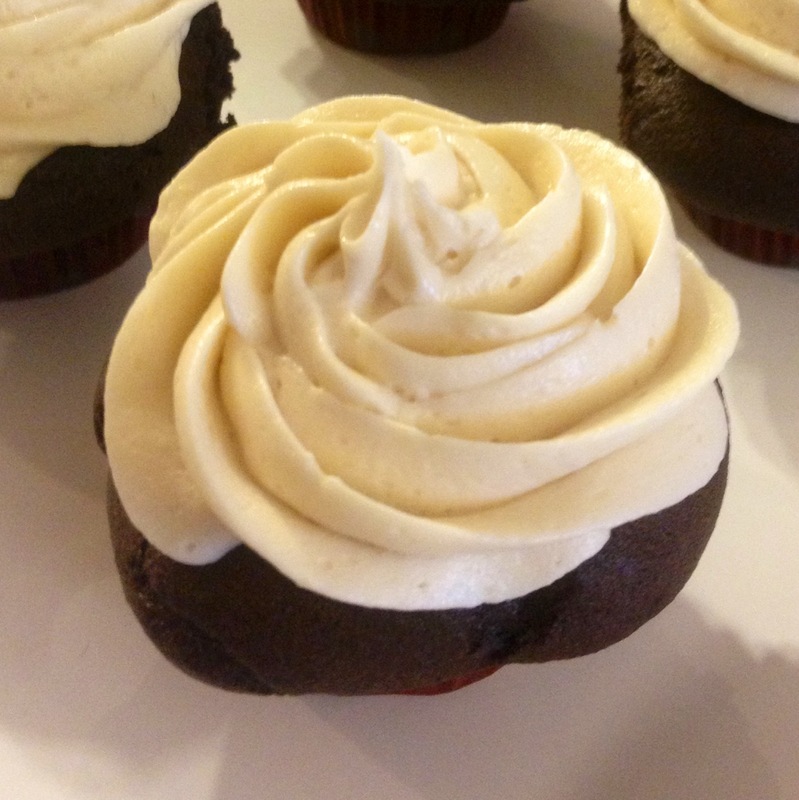 You can make mocha buttercream by making Chocolate Buttercream Icing and substituting coffee for the milk. Need maple? Easy use maple extract rather than vanilla. Craving Irish Cream? Why not use Carolans Irish Cream* instead of milk? There are many ways to serve up buttercream icing and they’re easy as … pie is not easy. Cream the butter until it is light and fluffy. Turn your mixer down and add the sugar in small amounts. I do about a half a cup at a time. Continue to mix the sugar and butter on low until they are fully incorporated. Add your vanilla and your milk or substitute one tablespoon at a time, turning your mixer up between each tablespoon. Add enough liquid to get the consistency you would like. Scrape down the sides of your bowl and whip the icing on medium-high for 1-2 minutes. If you add too much liquid, just add more sugar. *I have preferred Carolans Irish Cream over the more common brands for a while. The reason is that I find Carolans a bit less sweet. The icing on the cake (hehehe) is that the Carolans website clearly states that their product is gluten and wheat free. **I use salted butter in my icing. After reading many recipes and comparing notes, I realized that recipes either called for salter butter or called for unsalted butter but then indicated to add salt. I think salted butter has just the right amount of salt, plus then there is just one less step. That said, if you find your icing tastes a bit flat add a pinch of salt to bring out the flavors.